Storm season is on its way. Wind, rain and even snow and ice characterize winter storms in the Pacific Northwest. This winter is predicted by NOAA to be a La Niña winter with above average precipitation and below average temperatures and now is the time to plan for the possibility of power outages in the coming months. 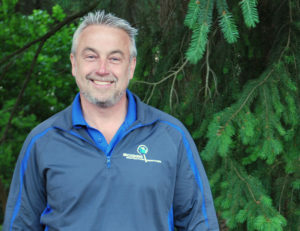 Dwayne Boggs of Boggs Inspection Service shares that a generator ready home is something buyers are looking for more and more often during their home inspections. He and his team of four trained inspectors check electrical panels and generator set-ups routinely during their full-service home inspections. 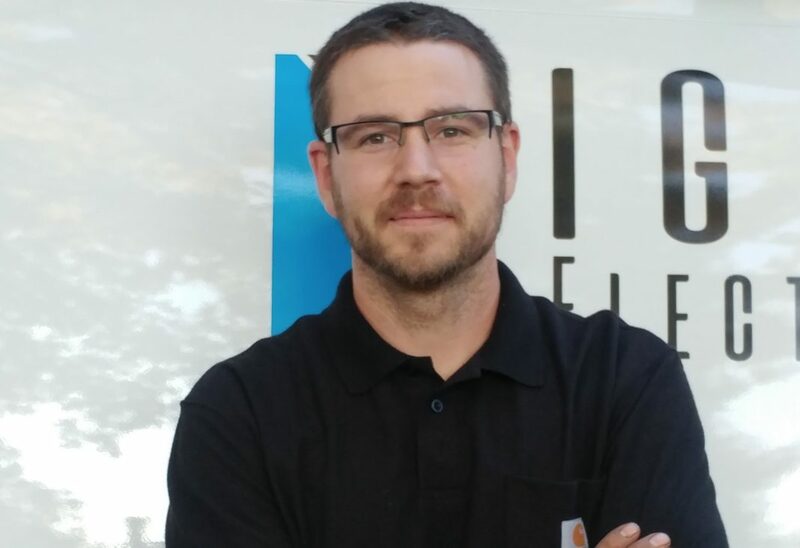 And, when something looks amiss, they suggest home owners contact a licensed electrical contractor, like Joe Mathis of Rigid Electric, to take a look. 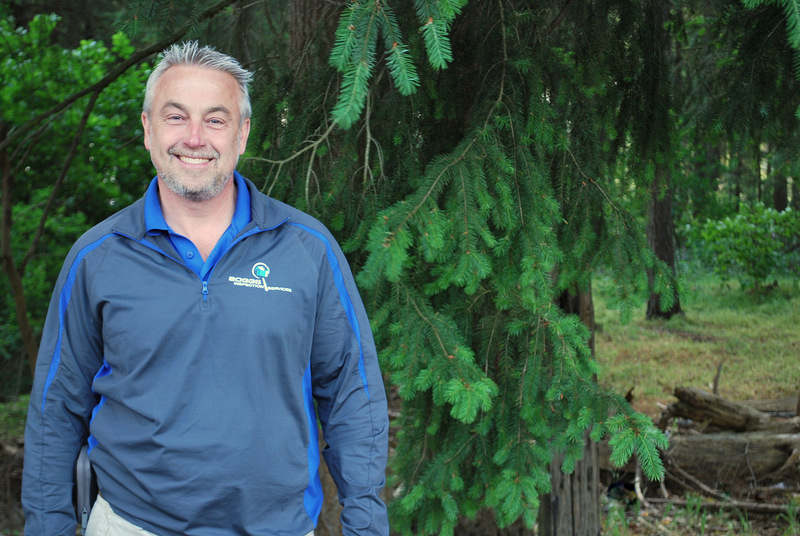 Joe has been an electrician for more than 10 years in the Thurston County area and, just over a year ago, struck out on his own, forming his own company. 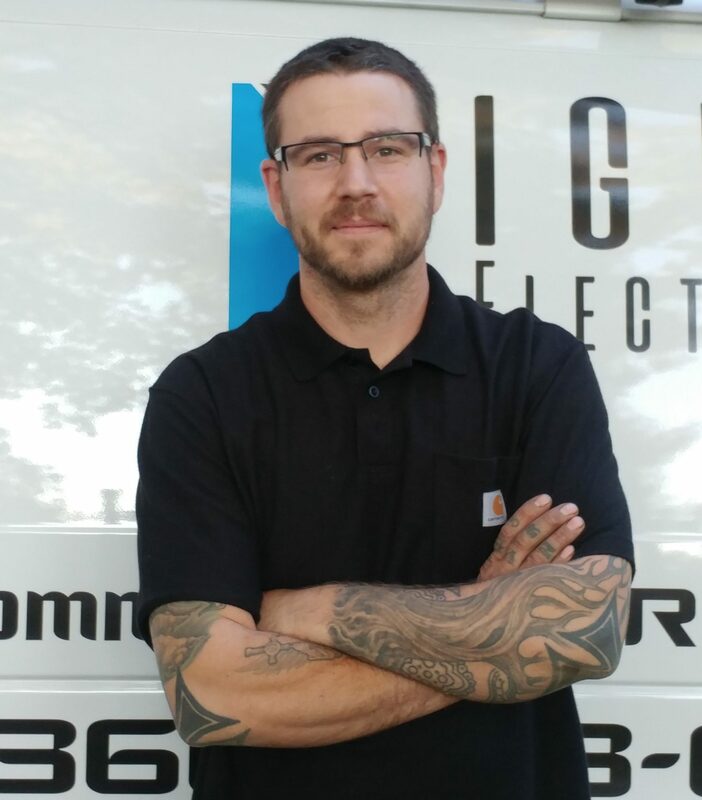 Rigid Electric offers full electrical services including temporary power installations, LED retrofits, panel upgrades, full wiring of new residential and commercial construction or remodels and installation of generators and transfer switches. 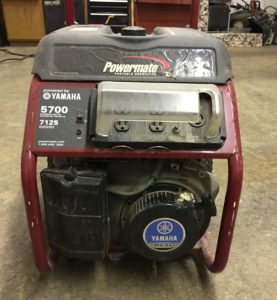 If you are thinking about installing or purchasing a generator for this season, read through Joe’s tips before making your final decision. 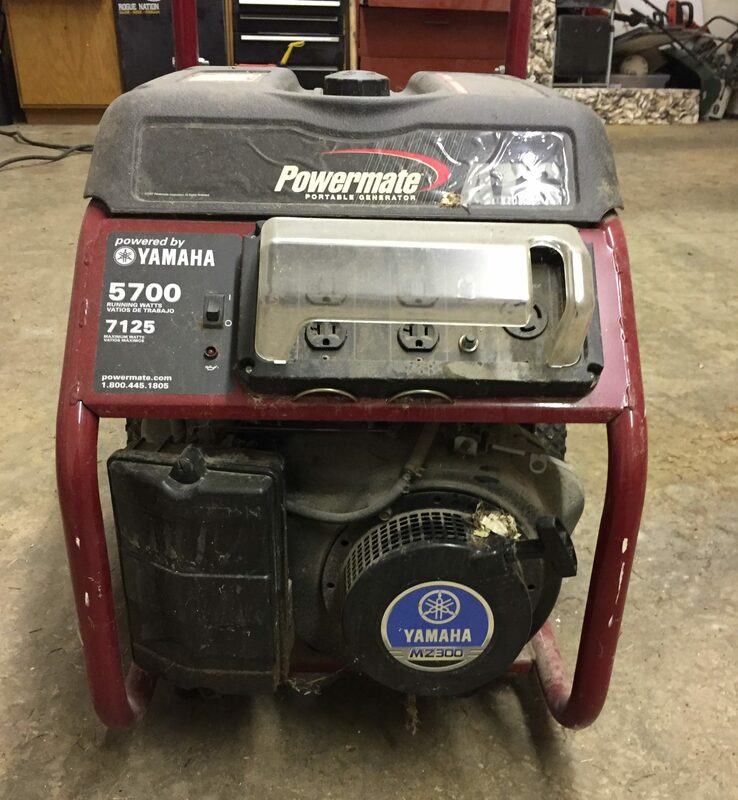 The first category of generators are the small, gas-powered models stored easily in your garage, pulled out when needed. While they are the cheapest, these models typically only offer 120 volts of single-phase power, transferred to appliances or your home with a heavy-duty extension cord (or two or three). “This option will keep your fridge or freezer cold during an outage, but will typically only run one or two circuits at a time,” says Joe. Base models can run as low as $400 up to $1000+ plus the cost of heavy duty cords and fuel. No electrical work is needed to use this type of generator as it does not run through your panel. 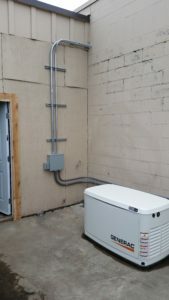 A mid-range generator can plug directly into your electrical panel, once converted by an electrician, and can power most appliances, a few lights and the TV for the Seahawks game. An electrician converts your electrical panel to a “generator ready” panel, ensuring the power delivered from your generator is only feeding to your home, not backfeeding up the line to the street where a linesman might be shocked during repair. “It runs about $250 to have your panel cover converted,” Joe shares. An electrician can also install an outlet on an exterior wall, wired properly for the generator you own, making it easy to plug your generator in when the storm is coming. This model comes in a variety of sizes but still won’t generally run the whole house. “When we have an outage,” says Joe, who has this type in his home, “we can select the loads we want to run, typically the propane heat, fridge and freezers, a few lights and the TV.” He notes, too, that propane or natural gas appliances need very little electricity to run and can typically all be handled – water heater, stove, furnace – by this style generator. “The beauty of doing a generator breaker in the panel is you can select which breakers you want to run at any given time and then make the switch as needed,” he says. A 5000 amp generator will give you 20 amps while a 6500 watt model provides a full 30 amps, offering more selection on more circuits. For the ultimate in ease and security, install a whole house generator that automatically switches on when the power goes out. These run on propane or natural gas and, while pricey, are reliable, easy and nearly maintenance free. While this seems like a power outage dream come true, it does come at a cost. “You can likely get a base model for around $5000,” he says, but it goes up from there. Add professional installation plus a gas line hook up, concrete pad and weatherproof cover, and you can easily spend $10,000 on the full system. The upside is knowing you’ll be warm, enjoying cold drinks, have hot and cold water (remember, wells run on electric power) and still be able to watch the Seahawks game no matter the weather. So, as winter starts to bear down, do some research, talk to local tradesmen and get bids from a few different companies recommends Joe. 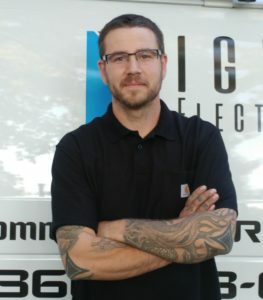 “See who is the best fit for you.” And, if that fit might be Joe Mathis himself, you can reach him at 360-999-8993, email Rigid Electric at rigidelectricllc@gmail.com or find them on Facebook. And, if you are in need of a home inspection – with our without a generator – give the team at Boggs Inspection Services a call at 360-480-9602. They are ready, no matter the weather.